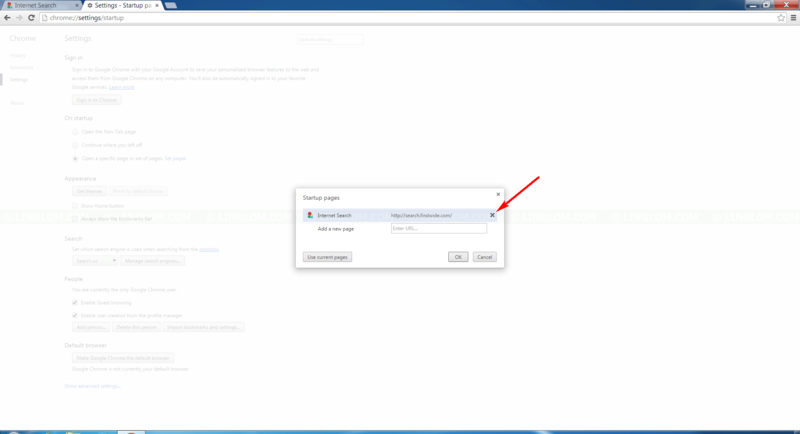 If you notice that default home page and search provider on Google Chrome are changed to some address you aren’t familiar without your permission, it is likely that you have adware installed on your computer and it made changes to your system by modifying settings on web browsers. When you try to uninstall it, the changes are not reverted back to value that it should be. Don’t worry, you can change them back. 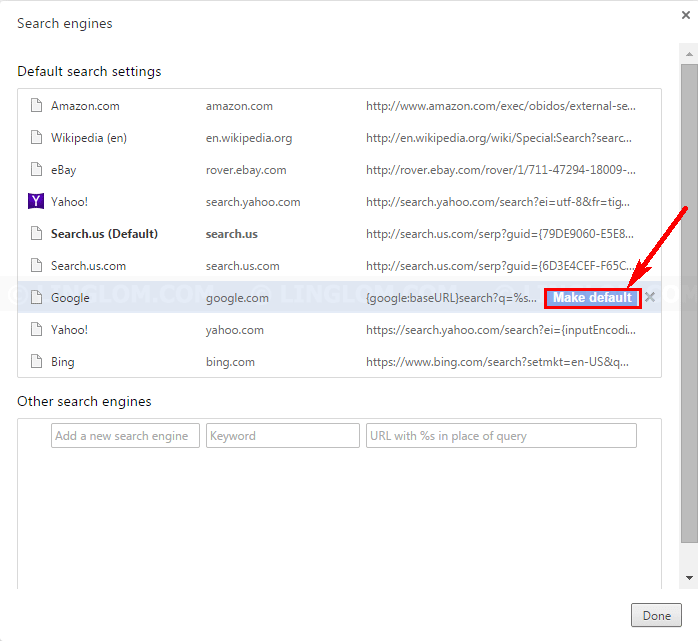 This article shows step-by-step how to change default home page and search provider to Google.com and how to remove extension (add-on) on Google Chrome. Open Chrome. Select Menu icon -> Settings. 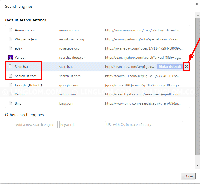 On Settings, select Set pages next to Open a specific page or set of pages option which locates under On startup section. 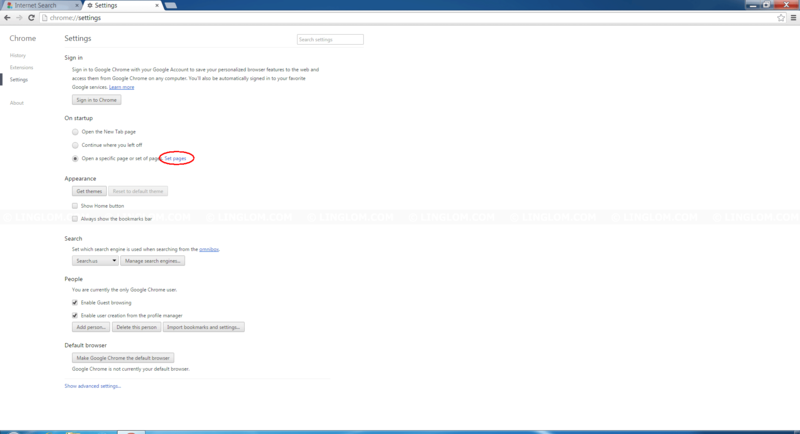 On Startup pages, delete any startup page that you don’t want by highlight on the item and click X icon next to it. Enter new address as your new home page on Add a new page line. 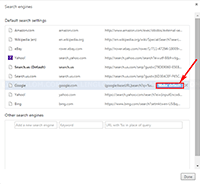 In this example, I type https://www.google.com which will be my default home page and click OK.
On Settings, Click Manage search engines under Search section. 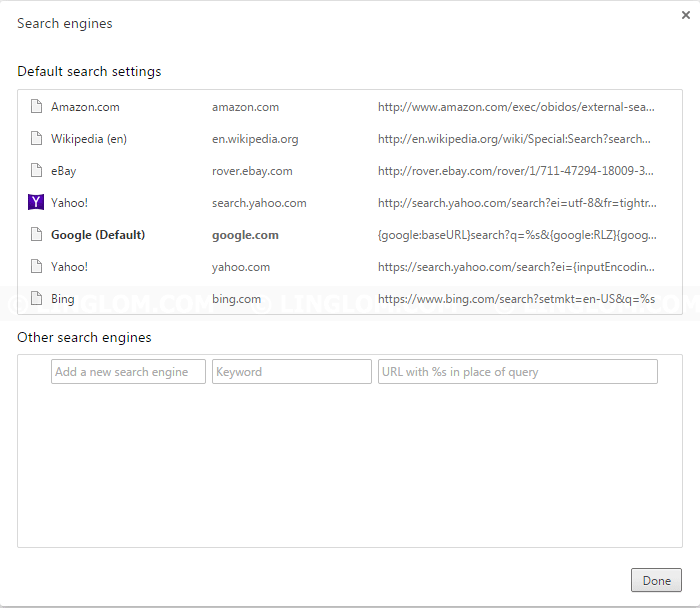 On Search engines, highlight on the search provider Google.com and click Make default. 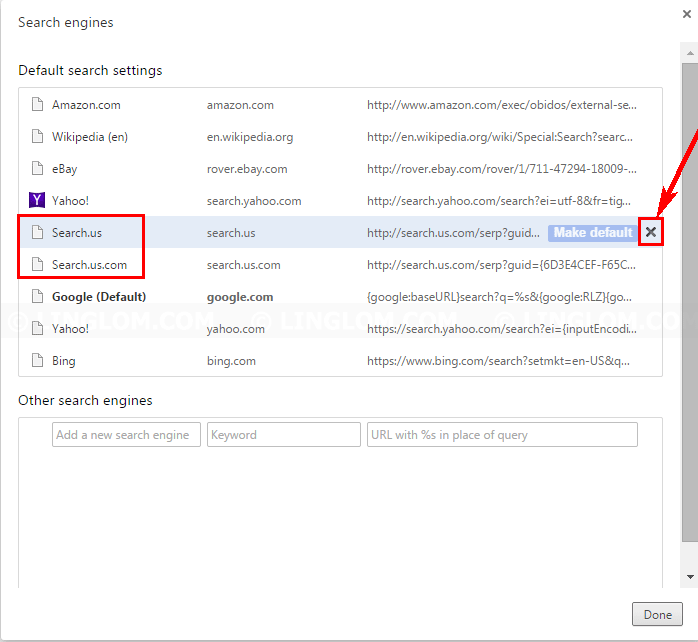 To remove any search provider, highlight on it and click X icon. 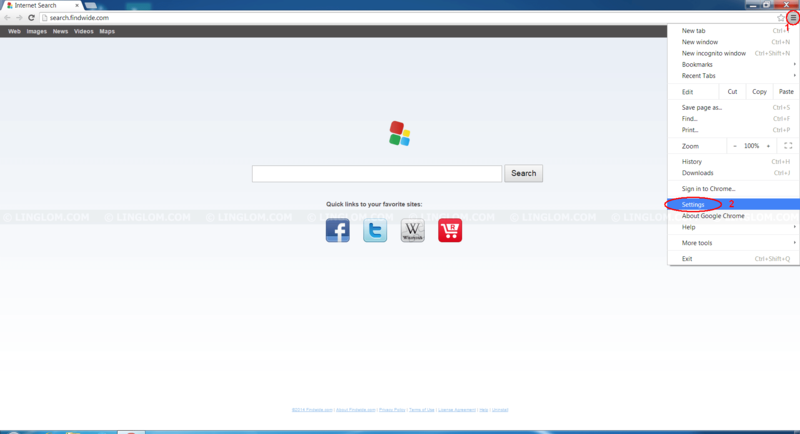 Now Google.com is the default search engine. Click Done to close this window. 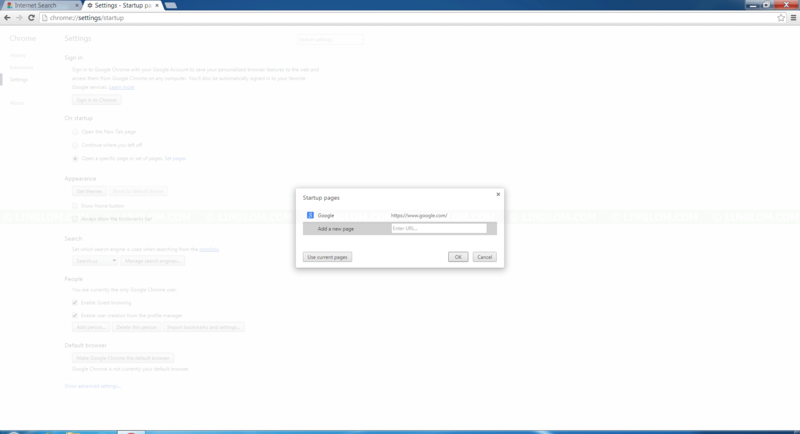 Select Extensions on the left menu. 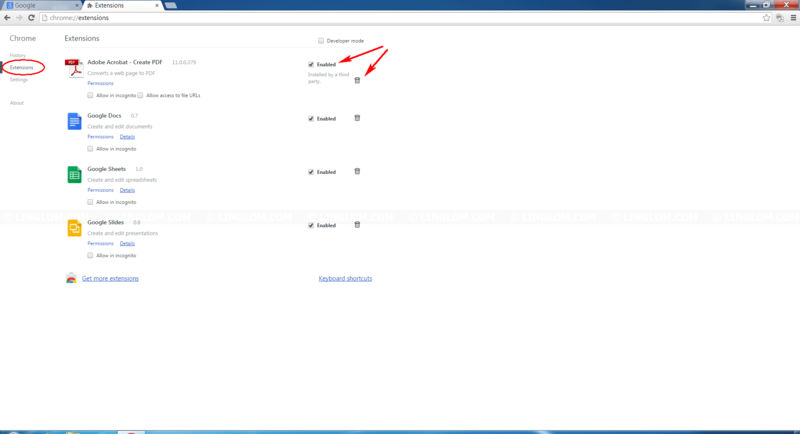 Here you can enable/disable extension on Chrome by check/uncheck the box Enabled located on the right of each extension. If you want to remove any extension, you can click on the garbage icon. 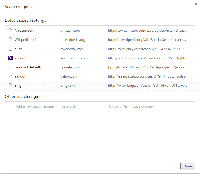 Note: To completely remove a third-party extension, you could uninstall it from Windows control panel. If it doesn’t list there, you probably need to edit Windows registry or use third-party anti-malware program to scan and remove it.